By changing the bobbin tension or top tension and using a variety of threads you can create a whole range of textures to delight! In this picture, I also have some small areas which are more raised than others. 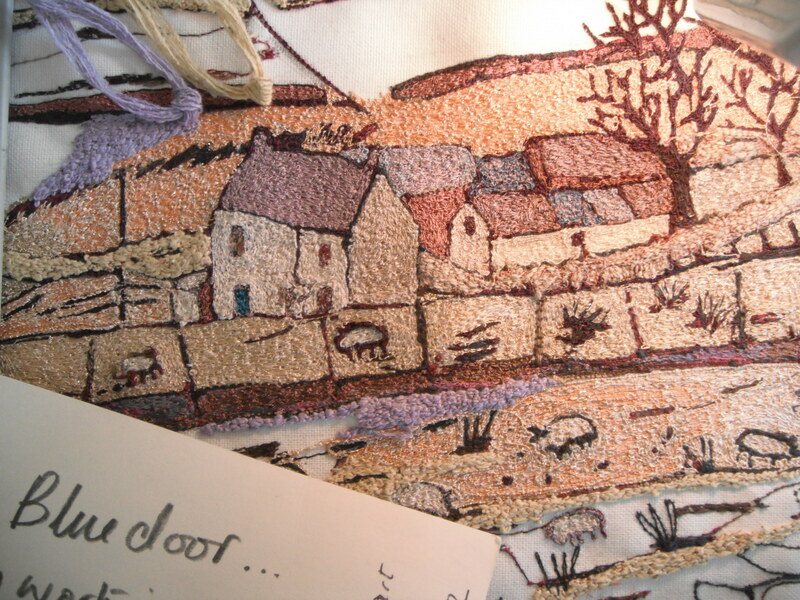 These areas have been stitched from reverse with a fine linen yarn running through the bobbin. I bring the bobbin thread up before stitching so there is nothing loose to catch. This entry was posted in Uncategorized by suzette smart. Bookmark the permalink.